Sexual Orientation, Gender Identity & Expression (SOGIE) Programming works toward promoting James Madison University's commitment to diversity through education, support, advocacy and the fostering of equity for all students, regardless of sexual orientation or gender identity and expression. Jennifer is a North Carolina native, where she attended North Carolina State University and Appalachian State University. Her master’s degree is in College Student Development, and she loves supporting underrepresented students and the opportunity to create a more inclusive campus climate. Jennifer also enjoys reading, running, hiking, yoga, paddle boarding, eating desserts, and finding new crafty art projects. Mariam is a graduate student of Communication and Advocacy here at JMU. 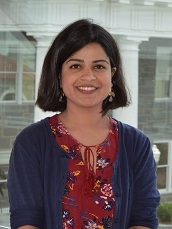 She defines herself as a Pakistani, Muslim, Woman of Color and her scholarship is overlapping in social justice issues such as immigrant advocacy through interfaith dialogue, environmental justice and representation of the self(s). After graduation, Mariam aims to be a documentarian quoting representation based on race, gender and identity on issues of social justice. In her free time, you will find Mariam in her pajamas enjoying good chai and reading a good book. You will also find Mariam chatting with her friends about unicorns - because yes, unicorns do make Mariam happy! 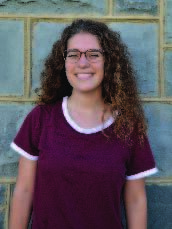 Nancy is a senior at JMU double majoring in Spanish and International Affairs with a concentration in Latin American studies. She’s passionate about human rights and social justice, and plans to integrate these passions into her future career. When Nancy is not pouring over reading assignments, you can find her working as a Diversity Educator for CMSS’s Deep Impact, enjoying a nice cup of coffee, or watching Food Network (preferably Chopped). 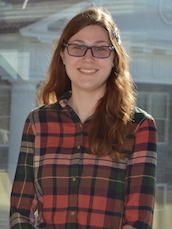 Liz is a sophomore at JMU, majoring in Chemistry, with a concentration in Biochemistry and Forensic Science. She is interested in making different areas more inclusive for trans individuals and having added inclusivity for health departments. You can find Liz living in Phys/Chem, either doing research, cross stitching, or drinking tea.